The Greater Manchester Cross Country Championships took place on Saturday 6th January at Heaton Park in Manchester. There was a good turnout from ECH athletes and some excellent results. Athletes who finish in the top 4 are automatically selected to represent Greater Manchester at the Inter Counties in March. In the under 13 girls race over 3km, Matilda Byrnes was first home for ECH finishing a creditable 13th place. Other good performances came from May Mannion 22nd, Imogen Gush 35th, Leigha Manser 42nd and Ellen Lees-Hill 48th. The under 13 boys race was also over 3km with James Harney finishing 24th, James McGraw 32nd, Patrick Lee 36th and Kane Grant 38th. The under 15 girls raced over a 3.8km distance and Rose Barlow was first home in 16th place, closely followed by Megan Lewis in 19th. Jessica Willock 35th, Niamh Boyle 40th, Darcy Winrow 42nd and Katherine Waters 45th also ran well. The under 15 boys ran the same distance with Patrick McGuiness finishing a respectable 33rd position. We also had one representative in the under 17 women’s race over 5km, with Abby O’Neil having a great run to finish in 6th place overall. 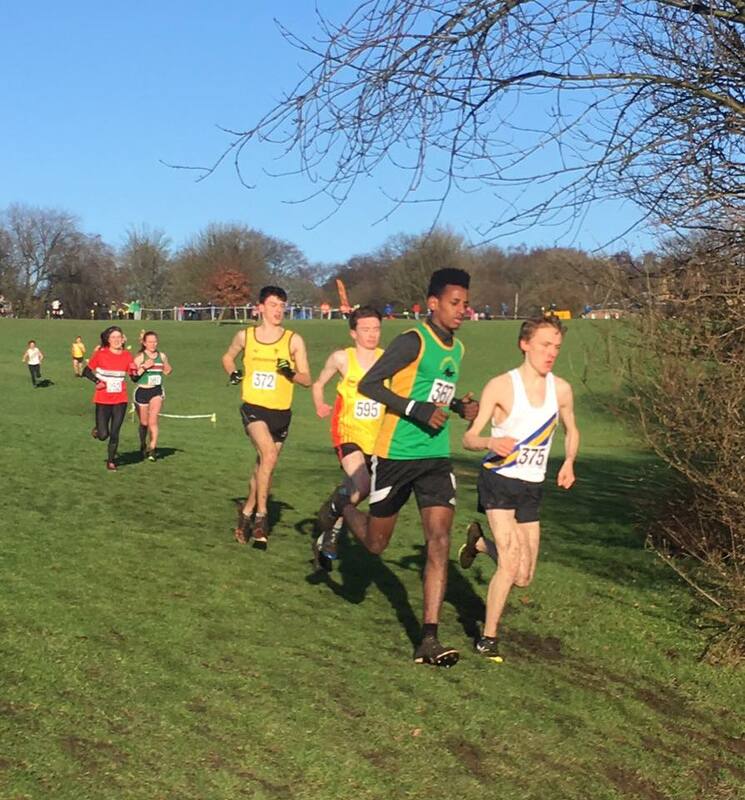 Keenan Owen continued his brilliant form to win the under 17 men’s race over a 5km distance to become the Greater Manchester Champion and confirm automatic selection for the Inter Counties. Jake Smith also ran well in the same race finishing in 13th place. Lily McGuinness competed in the under 20 women’s race also over the 5km distance, running a strong race to finish in 7th place. The under 20 men ran over a longer 6.9km distance and Mussie Kassa had a fantastic run in a close fought battle to finish in 2nd place and gaining automatic selection for the GM team. The senior women also competed over a distance of 6.9km, with good performances from Bethany McManus 12th, Hayley Simpson 13th and Sally Teague 36th. The final event of the day were the senior men over a 10km distance. Tom McGuinness performed well to come home in 7th position in a strong field. Luke Piper was back next in a solid 17th place closely followed by George Lewis in 21st and Joe Hudak in 27th. Other good performances came from Tim Greenald 41st, Michael Stansfield 56th, Gary Matthews 96th, Martin Lewis 139th and Anthony McGuinness 140th. Picture: Mussie Kassa on his way to 2nd place in the under 20 men’s race.